The Nintendo Switch has gotten it's fair share of games originally published on the Xbox Live Arcade, and Ms. Splosion Man brought all of it's absurdity to the party. As some of my more astute readers may have noticed, I went back to the ol' Ramblin' Review subtitle for this one, and with good reason. As with many of my other reviews, this will begin with a bit of a story. When I finally bought a secondhand XBox360 in October of 2009, auspiciously to play Mass Effect and its (then) upcoming sequel, I realized shortly thereafter that many of the AAA games available at the time were generally just too much time investment for games that weren't wholly unique or didn't contain a gripping story with a lot of deep character interaction. There seemed to have been much more emphasis on making games that looked good and created an easy transition to the online multiplayer that the developers were really trying to sell because of the greater potential to make money on paid DLC to expand options within that realm. As such, I started turning to the digital realm of the Xbox Live Arcade and it's low cost indie titles that at least looked really fun. Most of them offered demos to entice you to buy, and we will return to that tidbit in a moment. So, one of the games I first tried was 'Splosion Man, and not only did I enjoy the madcap mayhem that was an exploding science experiment that turned his creators into literal rolling piles of exploded cartoon meat chunks that suffered from exaggerated ADD and a clean form of tourettes, but my eldest daughter (then only about 5 years old), was absolutely enthralled by the bright colors, the humorous screams, and the explosions. Fast forward about two years later, and Ms. Splosion Man was released as a followup, taking on the naming convention of Pac-Man and Ms. Pac-Man. This didn't then, nor does it now, stop my family (myself included), from referring to it as Ms. Splosion Woman, or Splosion Woman, and I'd imagine we aren't the only ones. 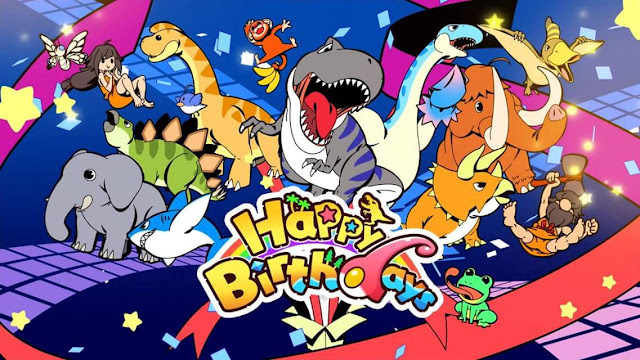 Anyways, there was also a demo for this, and while we didn't have the extra money available at the time to purchase the game, we could at least download the demo and let my girls play that whenever they got the itch, since they were 7 and 5 at the time, so playing the same level over and over wasn't an issue for them. 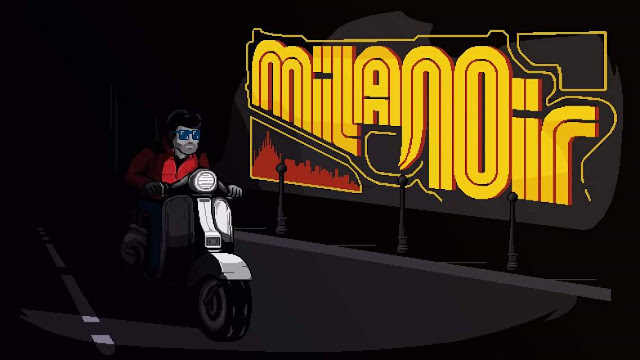 So, one day, my eldest was playing the demo by herself, and because she was finally bored of playing this same level, she asked her mom if she could buy the full version of the game. Well, her mom was the phone, and told the person on the other end of that line "...yes, that's fine", and my daughter took this as confirmation to her, as she wasn't actually paying that close of attention to her mom. It wasn't that big of a deal, but it was my only moment of accidental kid purchase that I can remember, and it seems very appropriate that it would be for Ms. Splosion Man. Fast forward another 6 years, and the Switch has been out for about 6 months at this point, and my wife says to me one day "hey, is Splosion Man on the Switch? We used to have so much fun playing that with the girls!" I said no, but I did immediately hop online to find out if Twisted Pixel was still owned by Microsoft. Seeing that they were not, I started talking to all of my buddies about how much I'd love to see Splosion Man and Ms. Splosion Man come to the Switch, and even sent the company an email asking about it. Then October hit and I started my 31 Days of Halloween and kind of forgot about it for a little while. Then, a fateful tweet announcing Ms. Splosion Man coming to the Nintendo Switch on Thanksgiving, and now here we are. Ms. Splosion man starts off with the scientists celebrating the capture of Splosion Man, but the party is to be short lived, as Ms. Splosion Man appears seemingly from the æther after some champagne is spilled on wires and the resultant spark hits a conveniently fallen hair bow.. She goes about 'sploding on her merry way, and this is where the game finds us. We must 'splode our way through the labratory and beyond, destroying vending machines, windows, scientists, and their questionable process along the way. 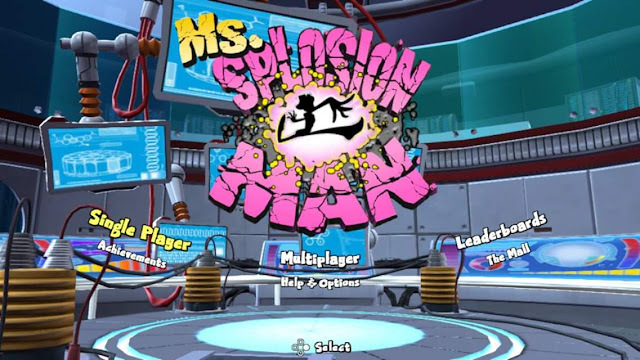 Ms. Splosion Man blasts, turns, and pliés her way through friction-plated levels with fun designs and interesting configurations in which to challenge the player using Ms. Splosion Man's abilities. Primarily, this is a one button game, but could be almost any button except the Z buttons- ZL starts a timer in multiplayer, and if you hold ZR you'll self destruct. You have a 'splode button, and three 'splodes before you must recharge. Most of any level's surfaces are going to be friction plates that help to recharge your 'splode, but you must be in contact with them to get the effect. This will be important when you're 'sploding up tall corridors and need to learn your timing to make it to the top. You'll have to slide just enough to get the charges necessary to make it to reach your goal, but no so much that you go down too far. Ms. Splosion Man is primarily a platform game with a strong emphasis on level navigation (point a to point b), but there are a lot of environmental puzzles, many of which revolve around barrels and switches. Any veteran of the Donkey Kong Country series will also find some nostalgia in floating cannons that blast the player around the levels, some which are automatic, others which you must aim and fire yourself. While Ms. Splosion Man doesn't exactly do much to tread new ground with it's mechanics, the original art style, way too loud catchy soundtrack, and endless outbursts of faux grrl power pop culture references (Gwen Stefani, Paula Cole, and Spice Girl lyrics), combine into an absurd mix of well executed platformer tropes. 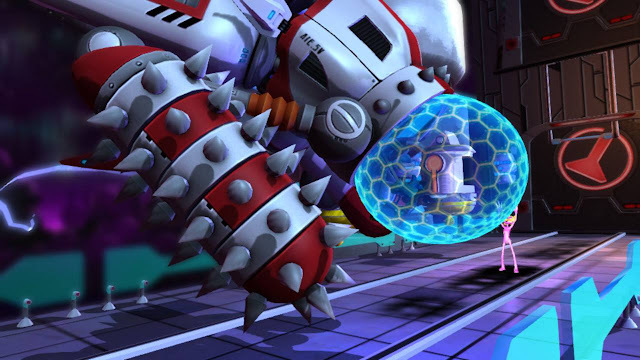 Some of the levels even seem to have an emphasis on speedy navigation that calls back to the Sonic games, while others throw out a complex arrangement of environmental obstacles and switch activated tools to be tripped and sploded in the exact right order and timing that makes it much more of a puzzle platformer. There are occasionally boss battles, and they all have their own unique way of being dealt with. Classic pattern recognition and repetition. These were more frustrating then fun, and probably one of the weaker aspects of the game. 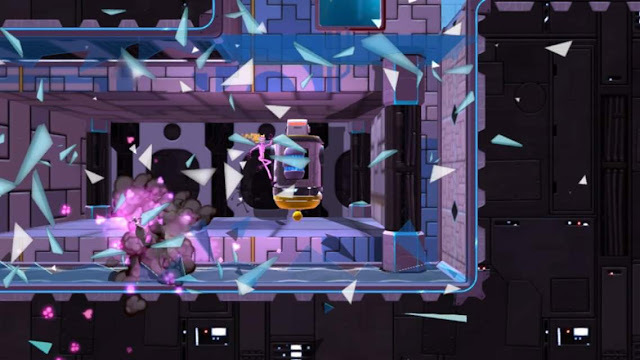 Ms. Splosion Man also makes for an amazing multiplayer co-op title. One of my middle daughter's favorite components of Ms. Splosion Man is the educational video from the fifties style tutorials accessible through the menu, and in those tutorials the Ms. Splosion Mans (Men? Women?) are given names, which she will loudly and repeatedly proclaim to everyone exactly what the name of their colored Ms. Splosion Man is. While the multiplayer levels are designed to be played by two player teams, some become easier with three or more, and four simultaneous is possible. Each time a new checkpoint is reached, everyone else is instantly teleported there, and that makes it easier to have a younger player on the team that can't quite keep up. In situations where team splodes are necessary, one can pull the ZL trigger to start a countdown on screen that everyone can time their splodes to, and as always, any member that keeps getting repeatedly left behind or stuck can always hold ZR to self destruct. Levels are timed and scored, and one can run through previously played through levels with a ghost for reference. There are collectible shoes to be found throughout the levels in both single and multiplayer modes, and coins are earned depending on your score and if you unlock any achievements along the way. There are online leaderboards that you can post to, but this is locked behind the Nintendo Switch Online Service. Using the coins you earn by completing levels, you can buy pictures from production, bonus images, playable tracks, and various movies. Some of these can only be unlocked by beating certain levels or finishing the single player or multiplayer game. There is a cheat mode that can be activated if you fail too many times, and this is triggered when you continuously fail on the same checkpoint. This will skip you to the next check point, but will also cost you any score, coins, or shoes that you picked up during the rest of the level, Your time is 999.99 and everything else is zeroed out. Overall, Ms. Splosion Man is an amazingly absurd and fun title to play on your own, but equally fun or moreso with two or more local players. The little extras found in the Mall and the online leaderboards are nice little additions that lend the game some replayability value. I really missed this game when my Xbox 360 finally gave out, and I'm stoked to have it again, as have the rest of my family. Here's hoping we start to see the rest of Twisted Pixel's back library from the XBLA days.